Join us for our healing circle and experience divine healing energy. Each person attending will receive attunements and healing using: The Crystal Harp, Crystal Bowls, Crystal Tuning Forks, Crystal Pyramids, Crystal Stones, and Music Channeled Personally for our Healing Circle by Gregg Bartow, (Realm Ryder). The harmonizing power of Crystal Sonic vibrations will lift you into the Natural Universal Energy Flow allowing us to transcend our physical boundaries and open to our greater reality. 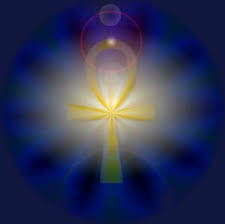 Experience Sekhem Energy, which is channeled living light energy of pure love with many cosmic aspects from the stars and was utilized in ancient cultures such as Lemuria, Atlantis & Egypt. Within this powerful Alchemical Process, high frequency energies will be accessed for healing and personal transformation. The Energies of Heaven and Earth come together to spiral, dance and become One within the heart; Sekhem will balance and merge the physical and subtle bodies, unifying all polarities including masculine and feminine. The lotus blossom of the unified heart chakra will burst open and unfold, bringing forth the eternal golden blue-white flame of our own Christ Consciousness and the I Am Presence.